High Quality Stainless Steel Made,Safe Material,Harmless to Human Body. Come with 5 Pairs Magnetic Earrings in 5 Different Color, Multiple Choices for Daily Wearing. No rust, no allergies, do not fade, Nickel-free. 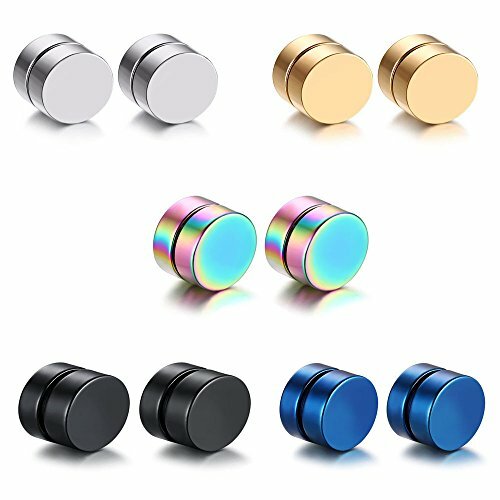 Made from permanent magnet, strong and less remaining magnetism, and with high precision, non-pierced people can also wearing earrings! Best choice of gift for Valentine's day, Birthday, Wedding, Anniversary, perfect gift choice for any occasion.